I’ve been at NordicGame Conference 2014 in Sweden the last couple of days, with the guys from my work. I met a lot of cool people in Malmö, Sweden this week, and also made a couple of new friends. We are planning to launch a kickstarter campaign very soon, to get money to make the final game. We mixed two genres, Action and Adventure, so even if you are not into adventure games, I would recommend to check out our game 🙂 It really gonna be awesome!! 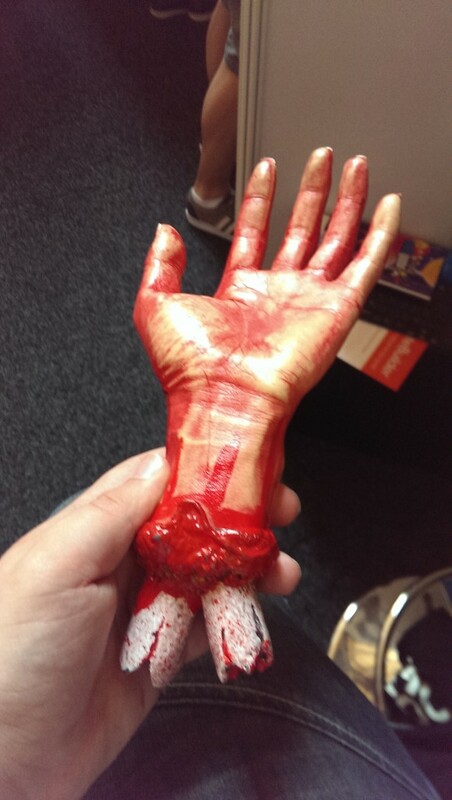 A Zombie gave us a hand (haha), at the conference, and was our business card holder for whole 3 days. So thank you Mr. Zombie.